Justin from Justin's Nut Butter!! Justin's Nut Butter launched their new Classic Cashew Butter this summer and we were lucky enough to have Justin stop by the truck for dinner and to collaborate with them during the launch. This felt extra special because we have been using Justin's Nut Butters as fuel for those long hot summer days on the truck. We love the brand because their core values align with our own, like striving to bring you locally sourced and sustainable ingredients from some of the best producers in Colorado. Justin challenged us to see what we could come up with using the cashew butter in one of our dishes. 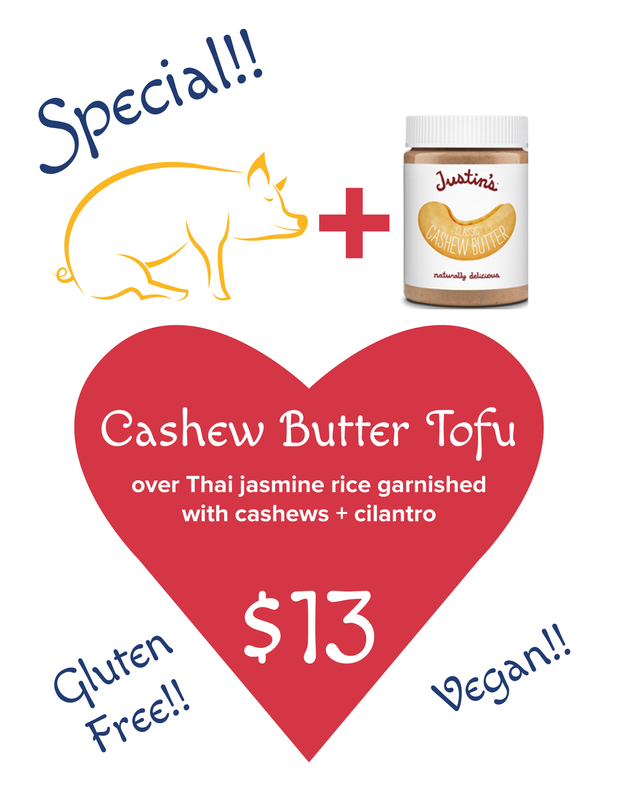 Introducing our vegan and gluten-free Cashew Butter Tofu special! The special is so popular it's become a regular special on the truck. So come on down to the Rayback Collective, the Boulder County Farmers Market, Isabelle Farm, or any of the great events/locations we are scheduled to appear at this year and try our gluten-free AND vegan Cashew Butter Tofu. Step right up, step right up, but no pushing!